Corinne Crowder’s New Book “This Is Me” is a Creatively Crafted and Rhythmically Illustrated Journey into the Art of Poetry. Recent release “This Is Me” from Page Publishing author Corinne Crowder is both emotional and enlightening; this work is a memoir of poems that depict the author’s battle with mental illness. 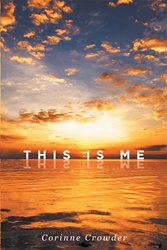 Corinne Crowder, a poet, devoted writer and author, has completed her new book “This Is Me”: a gripping and potent compilation of poems. Published by New York City-based Page Publishing, Corinne Crowder’s poignant tale tells a story of love, loss, depression, fear and hope. "This is Me" is a collection of poems Corinne wrote between the ages of 13 and 20. Life became a dark time for her at age 13 as she began to struggle with mental illness and it would continue to plague her for her entire life. Corinne also would fight a continuous spiritual battle between good and evil. She turned to poetry as a way of escape to help ease her pain and suffering. This poetry shows the dark side of mental illness while also showing the promise of hope peace and healing through life's struggles with the anchor of faith. Corinne’s desire is that her writing can somehow shed a light into the darkness of the mind and help anyone out there who is also struggling. Readers who wish to experience this enlightening work can purchase“This Is Me” at bookstores everywhere, or online at the Apple iTunes store, Amazon, Google Play or Barnes and Noble.